If you stop by St. Vincent de Paul’s Dental Clinic on any given day, make sure to wear your tennis shoes, otherwise you won’t be able to keep up with the staff. The speed and precision with which the staff moves around the clinic can be likened to a well-choreographed dance. With each step, a patient is seated, given a comprehensive exam, diagnosed and treated. It’s an impressive feat to witness. But what’s even more impressive is the sheer volume of patients that are seen each year in our clinic. Last year, the clinic saw over 8,000 appointments. That’s roughly 30 appointments per day. So, there is a reason why Dr. Ken Snyder and his team are fast on their feet—they have to be. As our Dental Clinic grew over the years, so did the need for help. SVdP’s Dental Director Dr. Snyder realized in order to keep up with the demand for dental care, the clinic required additional support. At the time, SVdP was hosting two dental residents who were participating in the A.E.G.D program. SVdP was providing post-doctoral training within the dental clinic. Under the supervision of Dr. Snyder, the residents were treating patients, and the additional support was making a difference. 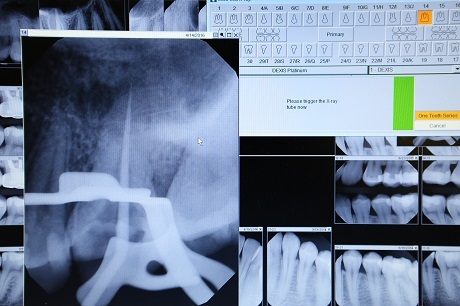 The Advanced Education in General Dentistry (A.E.G.D) program is unique in concept and design. 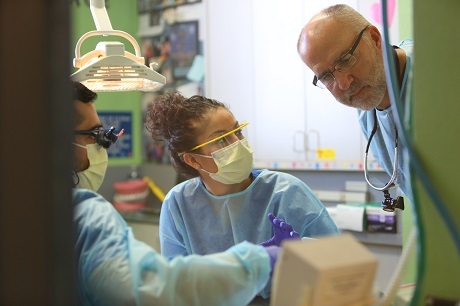 Created by NYU Langone Health, this year-long program gives residents the opportunity to expand their knowledge of general dentistry by receiving hands-on training in a variety of disciplines within the dental field. The program offers training with specialists in surgical and dental implantation, gum specialty, root canal treatment and orthodontics. Overall, “the program produces a highly skilled and confident dental practitioner, fully equipped to meet the challenges of modern dentistry,” according to their website. With this in mind, Dr. Snyder decided developing the A.E.G.D. program would be beneficial for SVdP. He reached out to a colleague, Dr. Jeffrey Rushlo, who was working in the dental clinic at Central Arizona Shelter Services (CASS) and asked for his help with the program. That was three and a half years ago. Since that time, SVdP’s Dental Clinic has trained 10 residents and is consistently ranked as one of the top destinations for dental residents. One reason residency positions with SVdP are so sought-after is because Dr. Snyder and Dr. Rushlo have taken the A.E.G.D. program curriculum and expanded upon it. The additional curriculum focuses on essential experiences that the residents are trained in. Those experiences include extraction of wisdom teeth, dental implants, bone grafting, surgery, orthodontics, pedodontics, endodontics and competency with a Co2 laser. Another unique aspect of the A.E.G.D. program at SVdP is the focus on the patient. The residents practice in the Dental Clinic all but two days per month. Residents work with patients from diagnosis through treatment, but occasionally the patient’s treatment extends past the resident’s stay. To make the transition easier, Dr. Snyder and Dr. Rushlo established a week long orientation where current residents meet new residents. This gives the new residents the opportunity to be briefed on cases and get introduced to our systems before hitting the clinic floor. But more importantly, this allows patients to receive consistent care, regardless of who is treating them. 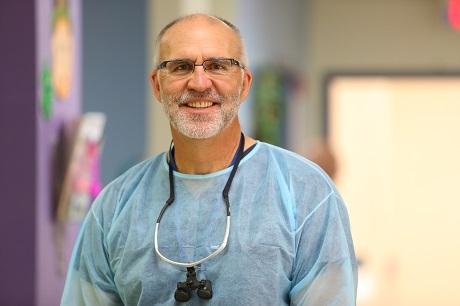 “What really makes this program work is the essence of St. Vincent de Paul, and providing help to people that wouldn’t otherwise get it,” explains Dr. Rushlo. “They [the patients] have no insurance. We are seeing patients from our medical clinic, children’s clinic and our transitional shelter, and at least half of our exams are considered advanced, extensive treatment.” So, not only are residents receiving necessary training to build confidence and expertise in diagnosing, treating and managing dental patients in community, but they are also fulfilling a mission to serve; an important component of the A.E.G.D. program. Since inception, the A.E.G.D. 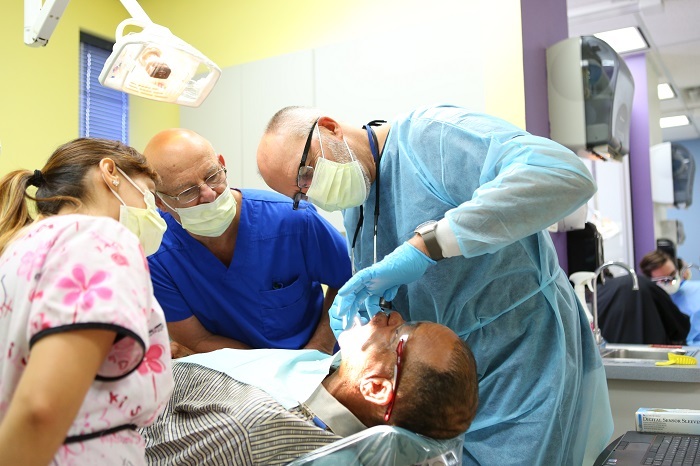 program has made it its mission to serve, “large, ethnically diverse and needy populations by providing comprehensive, high-quality dental care,” an aspect that drew former resident Caris Miller to the program, and subsequently to St. Vincent de Paul. Caris’ interest in SVdP’s dental clinic developed after she discovered Dr. Rushlo was the head of St. Vincent de Paul’s coveted program. Her classmates called him the, “guru of general dentistry,” and she knew she had to be a part of his team. During Caris’ time at SVdP, she found the A.E.G.D. program affected her in other ways. “Serving the underserved and making an impact in a community have always been the number one reasons why I went into dentistry. You can affect so much positive change in peoples’ lives,” she said. Dr. Snyder and Dr. Rushlo have already chosen the next round of candidates that will begin in July. And as each resident prepares to leave, they are given an opportunity to speak alone with the next selection’s candidates. This gives the candidates the opportunity to ask any questions about the program and to receive honest answers. Dr. Rushlo has found that each set of residents have been so complimentary of the program, the culture and the mission of SVdP. “People really realize what happens here. 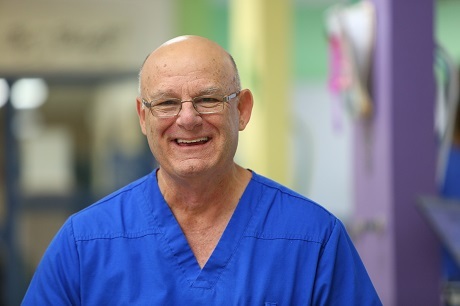 I mean, we’re just one little piece of what happens at St. Vincent, and that’s what’s so awesome about this is that it all works together well,” Dr. Rushlo says.